Connect your VGA Displays to DVI-I video sources. The DVIVGAMFB10P 10-pack of Black DVI-I to VGA Adapters offers a cost-effective option when you have multiple DVI-enabled computers to connect to VGA monitors. The adapters are constructed of high-quality materials to ensure dependability, and are backed by StarTech.com's lifetime warranty. 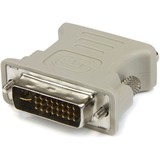 Please Note: This product is intended for connections between DVI-I and VGA devices. 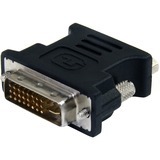 If your devices use a DVI-D connector, please refer to StarTech.com's DVI to VGA Converter (DVI2VGACON).